No one likes a slow website. People take it as a sign that the website is neglected or low quality. On the other hand, fast and responsive pages are a signal of higher relevance and quality for a website. Even Google is ranking faster websites higher in search results. One of the most powerful things that you can do to speed up your WordPress site is to cache it. In this article, we’ll explain what caching is and why you should consider implementing it. What can a fast food restaurant teach website owners? Fast food joints do one thing really well – they serve orders fast. One of the ways your favourite fast food restaurant cranks out dozens of orders each minute is by having a stockpile, or cache, of product ready to go. Instead of having to go into the kitchen to assemble your juicy burger, the person taking your order simply turns around and collects one from the holding rack behind the counter. Now did you know that every time someone visits your website, WordPress needs to go into the kitchen (database) to assemble a web page into HTML before serving it to your visitor? WordPress is a dynamic web application, which means that it assembles each web page at the moment it is requested by a web browser. 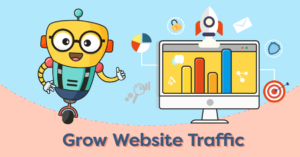 This brings some great benefits like being able to display different content to different visitors, but dynamically building a page for each request is really inefficient and slow. That’s where caching helps speed up your WordPress website. Now that you know what caching is, here are 3 reasons why you should implement caching on your WordPress site. As our restaurant analogy implies, caching can increase the speed of your website. It does this by caching pre-assembled pages of your website. When a visitor requests a page, WordPress serves them a cached copy instead of having to assemble it just for that one visitor. This is a simplified explanation of how caching works of course, but you see how serving cached pages is a lot more efficient than dynamically generating them for each visitor. One of the growing pains for websites is frequent website crashes during traffic spikes. It’s the worst thing when you get linked from a popular website, but instead of a record traffic day you only get blank pages because your server crashed. Because serving cached web pages requires less resources, your web server doesn’t have to work as hard. This efficiency frees up resources on your web server so it can handle traffic spikes better. As we noted earlier, Google is now using how quickly your your website loads as a signal in it’s search rankings. In a competitive search landscape, it pays to exploit every advantage that you have. Basic caching is also pretty easy to implement with plugins, so it doesn’t hurt to cache your site. Tip: Caching only affects logged-out visitors to your website. The back-end dashboard can’t be cached because settings changes wouldn’t be reflected if the admin pages were cached. One thing to keep in mind after you’ve implement caching is that you’ll encounter outdated pages. For example, you publish or update a post but you don’t see the changes on your website. That’s because you’re seeing the cached version of the page. Don’t worry – your caching plugin should update the cache in a few minutes. You should also be able to clear the outdated cache and rebuild it from your WordPress dashboard. For example, the WP Rocket caching plugin provides multiple ways to clear your website cache from the Admin bar and the settings page (above). Since we’ve mentioned it, WP Rocket is our favorite caching plugin (not an affiliate link). It’s easy to setup and the results are great! If you prefer a free plugin, check out W3 Total Cache and read our setup guide on how to configure it. P.S. Cache is pronounced ‘kash’. Hope that helps!